If you were to stroll through FullStory’s blog archives and tarry to read some of our older posts, you might think that FullStory is diametrically opposed to charts and graphs. The truth is, we’re not. We’re opposed to chart blindness: the tunnel vision — or should I call it funnel vision? — that strips away your empathy when you can’t see through your data to the flesh-and-blood people who comprise it. When used correctly, aggregate data can indeed highlight trends and reveal patterns, and we’ve wanted to find a way to include some “big picture” views for a long time. But we wanted to make sure we were doing it right. A graph should not be where your search for answers ends; it should be a spark of insight, a broad view of a puzzle to which your customers are the pieces. Today, we’re taking a giant first step. that Searchies should be easily accessible by, and provide insights to, everyone in an organization, regardless of technical experience level. 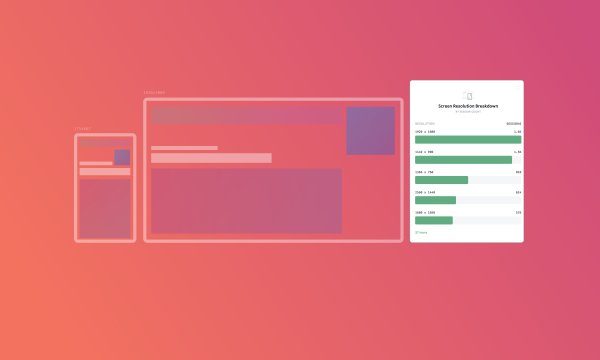 FullStory intelligently determines which questions you’ll want to ask of a search or segment and presents the answers in the most visually intuitive way: with a funnel, line graph, bar chart, and more. Say you’re looking at everyone who arrived at your site via a marketing campaign. If you click View Searchies, FullStory will present you with a trend graph showing how many customers matched that search over the past day, week, month or year, so you can monitor how your campaign performed over time. But beyond that, you’ll see a bar chart of the top browsers used by those visitors, what sites most commonly referred users via the campaign, and more. Whoa, why the huge spike around January 6th? Thanks to this new insight from the line graph Searchie, we can easily scope our search to that time range and see what went on with this ad campaign (and the visitors who clicked it). See through charts to the people behind them. Another reason we love Searchies is their ability to help you fluidly move between aggregate data and the individual customers that comprise it. While showing you interesting trends in your data, they also allow you to hone in your search by clicking on a section of a bar chart or funnel. A decent number of customers make it from event one (signing up for a trial) to event two (clicking the Subscribe button). But we’re curious about the precipitous drop-off between events two and three (hitting “Pay Now” on the payment page). If we click on the second event in the funnel, FullStory will immediately update our search to show only the users who have completed events one and two. Now we can Game Film a few sessions and find out what’s different for the people who do move on to event 3, versus those who don’t. The colorful future of Searchies. As we continue to expand and polish Searchies, you’ll see more types of insights and a wider variety of display formats. We’re at the beginning of our visual journey, and we’re psyched about what the future holds. We hope you are too. At launch time, we’ve only added Searchies to a portion of our customers’ accounts. We’ll gradually roll out Searchies to everyone over the next few weeks. 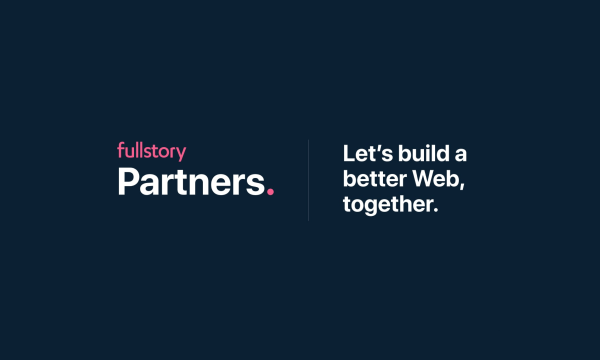 As a radical new addition to the FullStory platform, we want to make sure the experience is perfect before we break update everyone’s interface. Finally, stay tuned for more Searchies content to hit this blog soon! Today’s post is far from all we have to say on the subject of charts, graphs, analytics, and how they play into perfecting customer experience. So, cheers. Happy New Year. And happy new FullStory.